Well appointed and peaceful detached gite in a quiet road 10 minutes walk from the port of Ploumanach and the Sentier des Douaniers along the beautiful Pink Granite Coast. It has a pretty garden with off street parking and garage. We were greeted by the owners on our arrival who were friendly and helpful. Very impressed with the property. 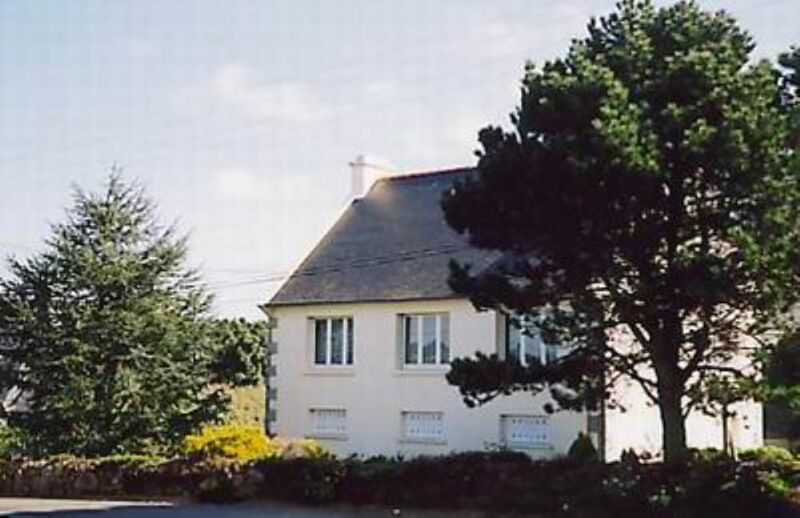 Ideally placed for Saint Guirec, local beaches and coastal walks. We had stayed in the area before and were looking for a property within walking distance of the coastal paths and beaches. We wanted off road parking and a garden. The property was clean and well presented and wonderfully quiet. My daughter and I has a very relaxing week, walking, cycling and visiting the local beaches. A good sized supermarket is only five minutes drive away and twenty minutes to get to the main town of Lannion where there is an excellent street market on Thursdays. The owners were very helpful and welcoming. We can fully recommend the property. Nous avons été très contents de faire la connaissance de nos hôtes et c'est sans souci que nous les accueillerions à nouveau .Un père avec sa fille très charmants,n'hésitez pas à leur louer votre bien. Excellent house, simply but fully equipped in a quiet location. Owners most accommodating and very kind. They helped us out enormously on our arrival ( we had forgotten something essential ) We were just two, but plenty of space for four - maybe a bit of a squeeze for six. Happy to recommend the house. The area is magnificent and the house well situated. There is a supermarket close by and a superb boulangerie just down the road in the village. We had a splendid week. Nous avons passé trois semaines excellentes à Perros-Guirec. La maison et le jardin sont très agréables et bien adaptés pour une famille avec des enfants. La maison est très bien située dans un quartier calme mais avec un accès rapide aux différentes plages, activités sportives ou culturelles, ainsi qu'aux commerces (supermarché, marchés), en voiture. Elle est également très proche de l'arrêt de la navette qui dessert plusieurs points d'intérêt régulièrement pour ceux qui préfèrent se déplacer sans voiture. Les propriétaires sont très accueillants et tout était très propre à notre arrivée. Es war alles in Ordnung, leider gab es kein Wlan und keine deutschen Fernsehprogramme. Wir waren zu fünft im Haus und konnten eine Woche bei bestem Wetter genießen. Das Haus ist nett und praktisch eingerichtet, alles ist schnell erreichbar. Sehr nette Vermieter! (Text automatically translated) follow signs to Lannion Perros Guirec along the coast and you reach ploumanach.